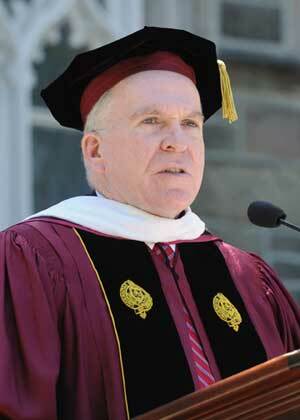 John Brennan, FCRH ’77, was confirmed by the United States Senate to head the Central Intelligence Agency (CIA) on March 7. Brennan was nominated by President Barack Obama to head the CIA on Jan. 7. A 25-year veteran of the agency, Brennan is currently the deputy national security adviser for counterterrorism and homeland security. “John Brennan’s career of service and extraordinary record has prepared him to be an outstanding director of the CIA,” said a White House statement. During his time working for the administration, Brennan has been involved in variety of security issues, from the 2011 raid that killed 9/11 mastermind Osama bin Laden, to counterterrorism efforts in Somalia and Yemen. Previously, he served as Middle East station chief for the CIA in Saudi Arabia and as chief of staff for agency director George Tenet. He was soon named CIA deputy executive director. After 9/11, Brennan established the precursor to the National Counterterrorism Center, tasked with coordinating international intelligence from myriad agencies. 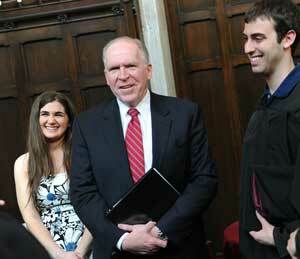 Brennan met with Fordham students and staff before the University’s 167th Commencement in May. “Jihad is a holy struggle, a legitimate tenet of Islam,” he has said, stressing that violence and murder are not condoned by the religion. For his unyielding commitment to protect the United States, and his three decades of public service, he was presented an honorary degree at Fordham’s 167th Commencement on May 19, 2012. 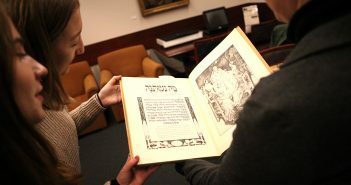 In accepting the honor, he recalled that his studies resonated with him to this day. 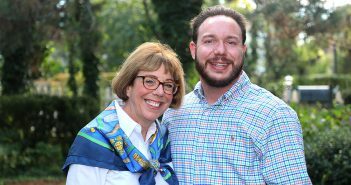 “The textbooks I read and the papers I wrote in John Banja’s philosophy class have traveled and remained with me over the past 35 years,” he said. Brennan becomes the second Fordham alumnus to head the CIA, following William J. Casey, FCRH ’34, who ran the agency from 1981 to 1987.